The summer brings all kinds of fascinating flora into bloom. With 220 million olfactory receptors in the average doggy nose, that’s a whole lot of scented stimulation with the potential for a great many allergies to kick in. With dogs poking their noses into flowers and eating the grass, they may disturb something. A bee sting can cause anaphylactic shock in dogs, leading to dog allergy symptoms as a swollen face, hives or bumps, and even indoors there are many common dog food allergies. Let’s take a look at how you can treat an allergic reaction in a dog, and what symptoms these dog allergies may take! 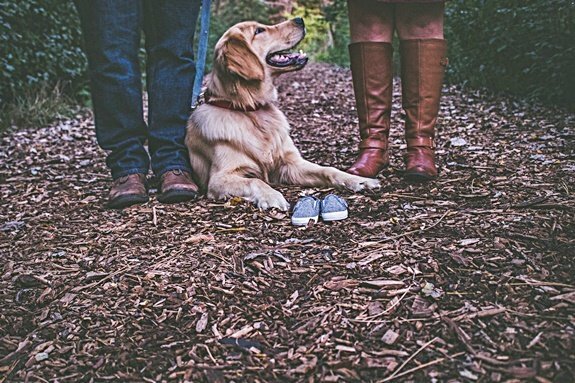 1 How Do You Know if Your Dog is Allergic to Something? 1.1 What Are the Symptoms of Dog Allergies? 1.2 Will I Need to Take My Dog to a Vet for an Allergic Reaction? 1.3 What Are the Most Common Dog Food Allergies? 1.6 What’s the Difference Between a Bee and Wasp Sting on a Dog? We all love our dogs and don’t like hearing a bad word said about them, but let’s be honest – they don’t always make sensible decisions! Where a human may be aware that something they eat or touch makes them feel pained or uncomfortable, a dog is more than likely to keep going. This makes it particularly important that we are vigilant toward any signs of common allergies for dogs. Skin Irritation – this is arguably the most common symptom of an allergy. Dogs tend to scratch as a matter of course, especially non-shedding breeds that struggle with the temperature in the hot months, but keep an eye on your own dog’s scratching. If it appears to be happening more and more frequently, and you are confident that any flea treatments are up to date, take a look under your dog’ fur. 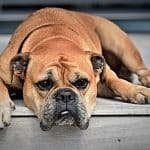 You may find patches of dry skin that suggest that your beloved dog is suffering an allergic reaction to something they have eaten or otherwise encountered. For example, your dog may be continually scratching the base of its tail. Vomiting and Diarrhea – every bit as frightening to both pooch and human as they are messy, these episodes are always a source of concern. More often than not, however, vomiting and diarrhea in dogs stem from the same cause as in humans. It’s a sign that their body has consumed something that disagrees with it, and needs to be purged as a matter of urgency. If your dog has an episode of vomiting and diarrhea, first ensure they are OK and offer plenty of fresh drinking water (both these ailments can lead to severe dehydration in dogs, which is very dangerous) and then consider if anything may have caused the problem in the first place. It also pays to seek the advice of a vet in such a scenario, especially if it occurs multiple times time a short space of time. Beyond these core symptoms, however, there are other concerning things that all dog owners should be aware of. We have discussed redness and inflamed skin in the form of a rash signifying a dog allergy, but it’s not always as clear-cut. Angioedema – These are bumps that live under the skin, causing an intense burning or itching sensation for your dog. These will be very sore, so be vigilant about dealing with them. Atopy – This condition leads to inflamed and itchy skin, though you may find a handful of tiny bumps on your dog’s tummy or under his or her skin. Urticaria – These are larger bumps that can reach up to five centimeters and appear all over the body, making them hard to miss. If you suspect that your dog is experiencing a breakout of hives for any reason, take them to a vet for treatment as soon as possible. Hopefully, it will turn out to be an allergic reaction, as this can be treated with medication. You will want to know what caused such a volatile response though, so you can avoid it happening again in the future. Some allergies can lead to a dog’s face swelling. While this is a very obvious symptom that you’ll be able to identify quickly, you will need to act extremely quickly if you notice this. An allergy that causes swelling will usually concentrate the impact on the eyelids and cheeks, which will be uncomfortable enough for your poor dog to contend with. If the problem spreads to the nose and throat, however, your dog could experience trouble breathing. If you have a long wait to see the vet, this is one situation where you can use human medication to ease any canine discomfort. Dog’s can tolerate diphenhydramine, which is better known as the popular over-the-counter remedy Benadryl. Vets regularly use and diagnose this particular drug, with the recommended dosage being 1mg of diphenhydramine per lb. of doggy body weight. Make sure you read the label before administering this particular remedy to ensure that you are not excessively dosing your dog. Will I Need to Take My Dog to a Vet for an Allergic Reaction? This depends on the severity of your dog’s allergy, and the symptoms that he or she is encountering. Obviously, you should always seek help if you have a question of concern. The first time your dog experiences an allergic reaction, it would indeed be wise to have a professional give them a once-over. A vet will be able to offer advice as to any dietary or lifestyle changes that may help avoid a repeat experience. What Are the Most Common Dog Food Allergies? A great many allergies in dogs stem from the food they eat – especially if it’s not something that’s on Fido’s approved snack list! Firstly, let’s remind ourselves of the foods that are toxic to dogs, and must not be consumed under any circumstances. If you are worried that your dog has eaten any of the above, make an immediate appointment with a vet. They will suffer an allergic reaction, and tragically this often fatal if left untreated. Meanwhile, there is another list of foods that, while not necessarily lethal if ingested in small doses, could cause problems if enjoyed to excess. It’s worth knowing about these items as unfortunately, they rank highly on many dog’s favorite food lists! Onions and garlic: small amounts can boost a canine immune system, but larger portions can be toxic. Milk, cheese and ice cream: dogs love these things, but many hounds are lactose intolerant, so dairy can lead to a very unhappy digestive tract. Plums and peaches: the fruits themselves are fine, but the seeds contain cyanide. Just like humans though, dogs can find themselves allergic to a wide and varied array of different foods. There is no way of knowing what may cause an allergic reaction in your dog. In the event of symptoms arising, make a note of what was eaten that day in case it’s to be avoided in the future. If anything so goofy and lovable as a dog could be claimed to have an arch enemy, this nemesis would take the form of parasites that feast on your dog’s blood. During the summer months, when your furry friend is enjoying time outdoors, he or she, unfortunately, become an all-you-can-eat buffet. Fleas and ticks will try to attach themselves to your dog, and on many occasions, they will be successful. 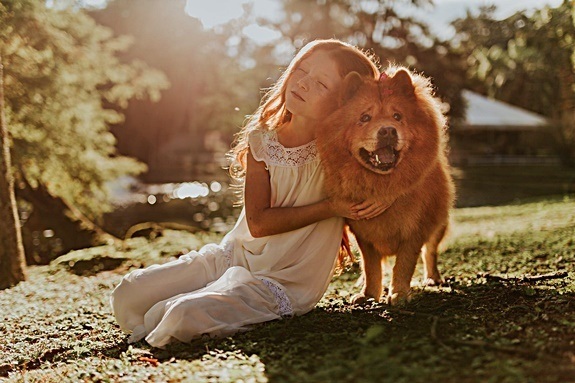 Unfortunately, many breeds of dog are born with skin conditions such as Flea Bite Hypersensitivity or Flea Allergic Dermatitis that mean they suffer an immediate reaction to flea or tick bites. On the surface, the symptoms of Flea Bite Hypersensitivity are identical to any dog that suffers a flea bite; your dog will scratch constantly. However, dogs suffering allergic reactions to fleas and ticks will experience more aggravation than most. They may show inflammation of the skin, and maybe even behavioral issues over time. Treatment for these conditions is universal. Discuss the many options with your vet, and decipher whether your dog is best served by wearing a flea collar, applying regular on-the-spot treatments, or even utilizing some of the home remedies that we’ll be discussing shortly. Another common occurrence throughout the summer is that dogs experience the sting of a bee or wasp. This would never happen unprompted but, unfortunately, dogs are not always the most aware of boundaries! If Fido is enjoying a stomp around a garden or park and starts to push his face into a bed of flowers or dig at the planted soil with his paws, he may disturb or aggravate a feasting bee and earn a sting for his troubles. If a dog encounters a wasp, they’re at risk of being stung just for the merry heck of it all. Wasps are jerks. Also, ant bites on the paw are also commonplace. Stings are not always a problem, and your dog may feel a little sorry for himself or herself for a while due to the short, sharp shock of the pain. Some dogs are allergic to the small dose of venom found in a bee or wasp sting though and could enter anaphylactic shock. This may result in medical attention being required. Unless your dog is allergic to the sting, you may not see any obvious symptoms. The chances are you’ll find your dog approaching you for reassurance, tail between the legs and looking a little sheepish. If an allergic reaction is possible, however, your dog may go into anaphylactic shock. If you notice any of these symptoms, rush your dog to the vet for treatment for their allergic reaction. Failing to do so may lead to further, otherwise avoidable health concerns. What’s the Difference Between a Bee and Wasp Sting on a Dog? If a bee has stung your dog, the offending stinger will still be located in your pet’s fur. Do not try to remove this with a pair of tweezers, as no matter how gentle you are attempting to be, you’ll end up squeezing the stinger and pumping more venom in Fido’s body. This could potentially cause a more prominent allergic reaction to the sting. Instead, scrape away the stinger using a flat surface, such as a credit card or even a fingernail. If a wasp were the culprit, there would be no evidence left behind, and you can proceed to the treatments listed below. How to treat a sting on a dog differs depending on whether it came from a bee or a wasp. If you’re confident that nothing untoward is set to occur and wish to ease your dog’s symptoms, you can treat a bee or wasp sting at home. To treat a BEE sting, mix water with bicarbonate of soda. Bee stings are acidic, and this will neutralize the impact on your dog. To treat a WASP sting, mix water with lemon juice or vinegar. Wasp stings are alkaline, and this will neutralize the impact. After this, wrap some ice cubes in a tea towel and dab the affected area. This should reduce the swelling; if it fails to do so, it’s quite possible your dog is allergic to the bee or wasp sting and should see a vet. It’s possible that your dog will be stung on the tongue or inside the cheek by a bee or wasp. Dogs love to chase insects, and may get carried away as part of their play. If this happens to your dog, seek the help of a vet immediately. If your dog experiences an allergy to the sting, it could lead to their throat swelling up, causing difficulty breathing. Most dog allergies can be treated on the spot, either by a vet or by a pet owner that possesses the correct medication. An alternative treatment, however, could be to use vaccinations to prevent these dog allergies from taking hold. This process is commonly referred to as immunotherapy. Vaccinations are considered to be a final call, only used when dogs reject conventional, on-the-spot allergy treatments. A vet will work alongside a dog owner to understand what particular foods appear to be triggering an allergic reaction and introduce shots to combat this. These injections will typically need to take place weekly, which is why some people prefer to avoid this particular treatment. 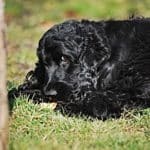 If a dog suffers an allergy to something particularly commonplace, however, vaccination can be considered to be the lesser of two evils when compared to regular allergic reactions – and the discomfort that comes with that – and treatments. While it is always advisable to seek the advice of a vet in the event of an allergic reaction in your dog, there are home remedies that can be used to ease any symptoms. This may be preferable to some dog parents, as a strong steroid allergy treatment may attack a dog’s entire immune system, leaving them vulnerable to other viruses and sicknesses. In addition to food and tick allergies, however, many dogs suffer from what humans would call hay fever – general, seasonal allergies throughout the summer months. This can be heartbreaking for dog and human alike, as all your pooch wants to do is run and play in that glorious sunshine. Happily, there are steps that can be taken to boost immunity to allergies. 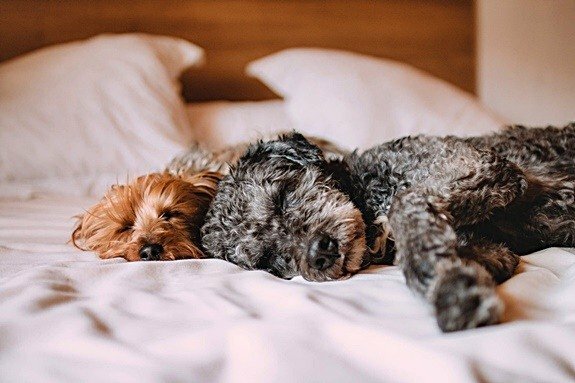 Apply some of these homemade dog allergy treatments and you’ll have that tail wagging in no time at all. 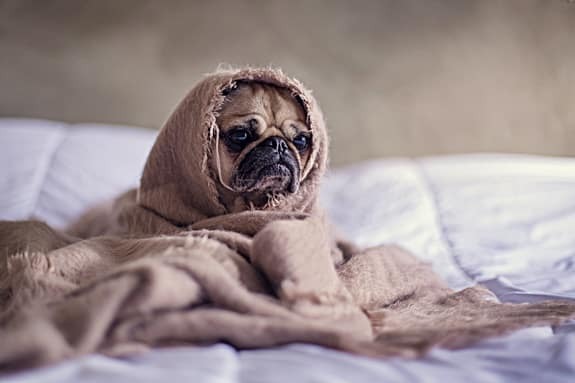 Oats can be a fantastic way to ease any allergy If your dog is itching more than usual, consider either feeding them some oats for breakfast of bathing your dog in these carbohydrate-heavy foodstuffs. The latter will be particularly impactful when it comes to easing itching symptoms. Aloe Vera can be a great way to soothe angry, red or irritated skin. This makes it a great way of easing any symptoms of rashes, hives and other inflamed skin thanks to a dog’s allergy. Fresh Thyme, which can be picked up from a supermarket or health food shop, has great anti-fungal and anti-bacterial properties. This makes thyme a great way to treat any allergies that impact upon a dog’s paws; rub it into the affected area, and marvel at your dog no longer licks their paws. Nettles obviously shouldn’t be eaten whole, as they’ll sting your dog’s mouth! You can boil them up and drop them into your dog’s water – roughly two drops for every 10 lbs. of body weight. This will build a slow and steady immunity against histamines due to exposure, which will help ease your dog’s seasonal allergies. Apple Cider Vinegar is something of a canine superfood, as it brings all kinds of benefits to your dog. If you mix a little of this product with water and bathe your dog’s paws with it, you’ll find that any inflamed areas that suffer from an allergic reaction will quickly calm down. In addition to this, the apple cider vinegar will clean away any stubborn remnants of pollen that may be clinging to your dog’s fur, preventing seasonal allergies from reoccurring in the immediate future. Coconut Oil comes with a laundry list of doggy health benefits, with allergy relief being chief among them. Either encouraging your dog to lick some of this oil fro your hand or rubbing it into his or her skin will keep your dog from experiencing allergic reactions or inflammations to their skin. Lemon Juice is something that you’ll want to keep away from your dog, as they won’t find it very appetizing. However, ticks and fleas find it even more horrifying; if you rub some of this liquid on your dog’s fur, these parasites are hugely unlikely to attach themselves and cause an allergic reaction. Just ensure that your dog can tolerate the scent and sensation of lemon before you start. It’s not for everybody. Remember, a vet should always be consulted if you have any concerns about an allergic reaction that your dog may be suffering. Follow the advice laid out above though, and you’ll be able to keep your canine companion safe, healthy and happy. It’s common for people to develop allergies to their pets, so you also need to make sure that you get a hypoallergenic dog breed.